Princess Rockz is an online business selling hijabs and accessories, and is run by Aalia who you might recognise from the YouTube channel alz786uk. 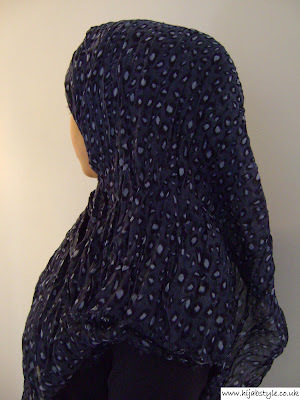 I was recently sent the Midnight Blue Maxi Crinkle Hijab to review. Princess Rockz stock a range of Maxi Crinkle Hijabs in various prints. The product pages provide a link to Aalia's YouTube tutorial for these hijabs, which I think is very useful for customers since you get to see the scarf 'in action' before you buy. 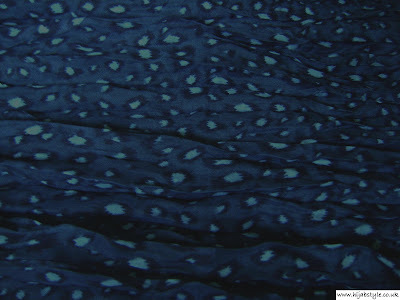 I love the colour and the print of the fabric, and the crinkle texture adds a bit of fun to your hijab style. I found the size a little too large for me, but it's great if you like to create folds and volume, and provides plenty of coverage. Edit: It seems the Midnight Blue Hijab is out of stock on the website, but it's also available in brown and grey versions!